Home > Tools & Techniques > Cookbooks: A Great Way to Teach Reading, Maths, and Science! Want to have a great time while teaching your child basic reading, maths and science skills? Grab a cookbook and get started! Not only will creating an edible (hopefully!) recipe result in hunger pang satisfaction, it will also give you many opportunities to help your son or daughter learn. Here, we'll show you some of the ways you can use cookbooks to your advantage. Who knows? You might even wind up inspiring a young chef! It's a fact that washing your hands reduces the spread of germs and bacteria. So before beginning your cooking adventure, make certain you and your child wash your hands and any preparation surfaces. There's no need to invest in expensive anti microbial products - soap and water will work. By encouraging your son or daughter to keep food prep surfaces clean (and explaining why it's important), you'll reduce the risk of creating an unhygienic environment. Most modern recipes eschew the "pinch of this" and "handful of that" for actual measurements. So get out your measuring spoons, cups and other items and let your child see the difference in their shapes and sizes. Even very young children are excited by the differences. As you measure out recipe ingredients, you can talk about how there is twice as much flour as sugar or three times as many eggs as grams of spice. Don't worry if your youngster is confused at first by the mathematics - understanding will come with time! If your child is already able to read on a simple level (either using phonics or whole word recognition), ask him or her to recite the chosen recipe to you as you add a few ingredients to the pot or mixing bowl. Should he or she have trouble with a word, do not immediately help him or her; instead, ask him or her to spell the confusing word aloud for you. That way, you can work on it together. As your son or daughter gets older, he or she can even be in charge of finding recipes in your cookbooks using the index and table of contents. During the course of your kitchen fun, discuss why you're adding each ingredient to the recipe. For instance, do you know the difference between what baking soda and baking powder does? If not, look them up online or at the library so you can make discoveries together. For very young kids, urge them to discuss the taste of products. "Why are we adding honey? What does it taste like? Is it salty or sweet? What will it do to the food? What if we left it out?" If you have the time, you could even create an experiment where you remove or significantly alter the amounts of ingredients. That way, your child will get to see what happens to the flavour and texture of a cake made without the eggs or with water substituted for the milk. Again, if your tot is just learning his or her 1-2-3s, count aloud as you add ingredients. Write down the results on a piece of paper and that way he or she will become more comfortable with the sight of numbers. Gradually incorporate addition and subtraction as your youngster ages - if you need 10 drops of vanilla and you've already added 7 drops, how many drops will you need to add? Be patient and creative and your young kitchen helper will absolutely learn. 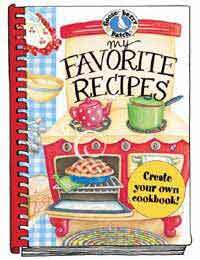 Teaching Reading: Create a "Favourite Recipes"
After you and your son or daughter have been engaging in the "cooking together" process for a while, you no doubt will come across recipes you want to make again and again. This is a good time to create a "favourite recipes" notebook. It doesn't have to be fancy - a simple spiral bound, lined composition notebook will work. You and your child can rewrite the recipe and even add your own thoughts about the foodstuff, noting when you've really enjoyed the ingredients and/or what you like to substitute or add to the mixture. Don't underestimate this process… your "favourite recipes" notebook will be treasured for years to come!